Over the past five years, faculty members at New York City College of Technology have received a series of grants from the National Endowment for the Humanities and the National Science Foundation to support the exploration of one of Brooklyn’s most understudied and underutilized assets: its historic waterfront. 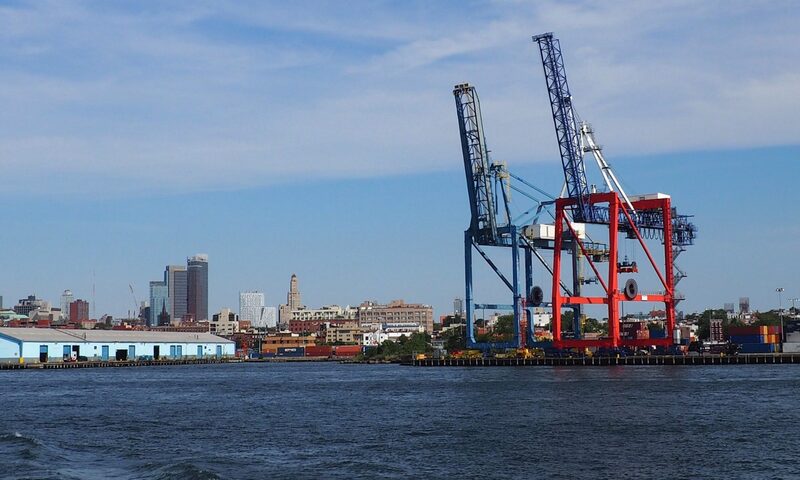 Using a multi-disciplinary approach, participants in these grants have examined the past and present of Brooklyn’s industrial waterways from social, political, historical, literary, and scientific perspectives. The grants the college has received have included two $60,000 faculty development grants from the National Endowment for the Humanities (NEH) to study and develop curriculum on the literature and history of the Brooklyn waterfront. It has also received a $140,000 NEH grant to run a summer institute on the landmarks of Brooklyn’s industrial waterfront for community college teachers from around the country, and a $200,000 grant from the National Science Foundation to create a series of courses at City Tech that investigate the effects of climate change on the Brooklyn waterfront. These courses will be made available to science programs in other colleges and to the secondary schools. The College is currently in the first year of a 3 million dollar U.S. Department of Education Title V grant revamping general education at the college and using the Brooklyn Waterfront as a “living laboratory” for those courses. The focus on the Brooklyn waterfront coincides with New York City’s Waterfront Vision and Enhancement Strategy (WAVES) that includes a Waterfront Action Agenda developed by the Department of Environmental Protection and a comprehensive waterfront plan, Vision 20/20, produced by the Department of City Planning. These city initiatives and the already-mentioned national grants have created an opportunity to address the needs of its students and neighbors by founding a research center devoted to the interdisciplinary, place-based study of Brooklyn’s historic waterfront. The three-fold mission of this newly formed Brooklyn Waterfront Research Center includes research, education, and public outreach. 2) A walkway / bicycleway on the Verrazano Bridge for regular use and especially emergency ingress / egress added transportation availability. THANKS for whatever positive action you can facilitate on each of these potentially life-saving items ! Been cycling and walking the Brooklyn Waterfront since the early 1950s. Missing Link – the bicycle/pedestrian path across the Verrazano-Narrows Bridge. It can be built. See web site for full City Planning Study.